Provides relief from corns, crooked toes, pinching and cramping. 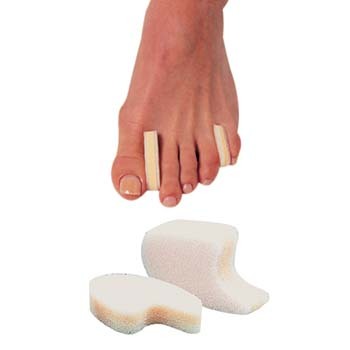 These soft, foamy toe cushions comfortably separate crooked, overlapping or rubbing toes. They absorb pressure and friction to eliminate pinching and cramping. Anatomically shaped for a perfect fit. Six per package of individual sizes. Assortment pack includes two of each size.